Rivets can also be used with a rivet cap to improve appearance of clinched end. Long length rivets can be applied without buckling or bending the rivet shank. Can be used to fasten similar or different materials of multiple work-pieces. 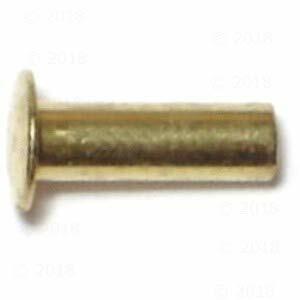 Tubular-hole rivets often used to pierce and clinch materials without a pre-drilled or punched work-piece hole. 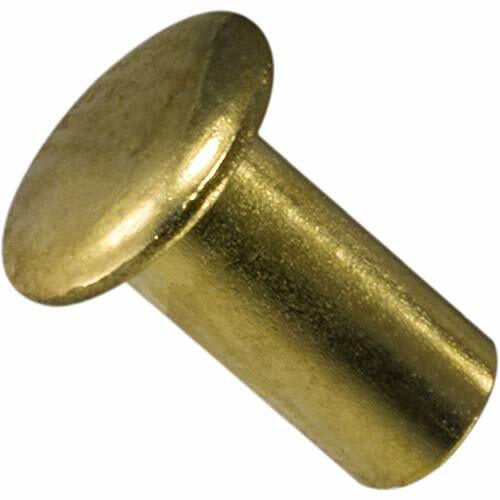 Inexpensive alternative to threaded fasteners, permanent fastener with good joint strength. HAND RIVET SQUEEZER FOR SOLID & TUBULAR RIVETS, WITH A 2" REACH, 2" GAP. WILL SET RIVETS UP TO 1-3/4 INCH IN LENGTH. ALSO INCLUDES 2 FLUSH SQUEEZER DIES.! Hand Rivet Squeezer for Solid and Tubular Rivets with 2" reach and 2" gap. Will set rivets up to 1-3/4" long. Also includes 2 flush squeezer dies. SOLID ALUMINUM RIVETS UP TO 1/8 IN DIAMETER. SOLID MILD STEEL RIVETS UP TO 3/32. 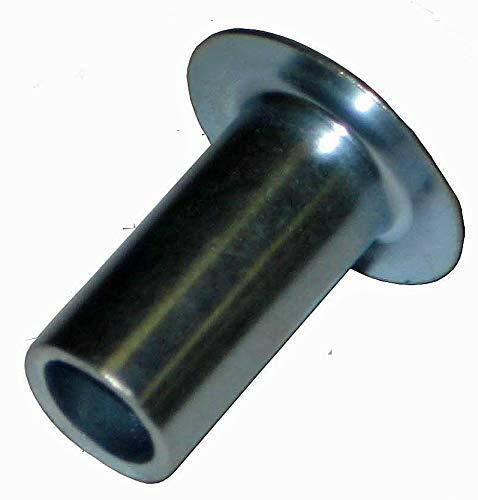 TUBULAR MILD STEEL RIVETS UP TO 3/16 DIAMETER. ADJUSTABLE TO FIT FROM 1/16 TO 1-3/4IN LENGTH RIVETS, BY CHANGING DIE SIZE, (SOLD SEPERATELY). Tubular Rivets are similar to solid rivets, except they have a partial hole (opposite the head) at the tip. The purpose of this hole is to reduce the amount of force needed for application by rolling the tubular portion outward. An installed tubular rivet has a head on one side, with a rolled over and exposed shallow blind hole on the other. 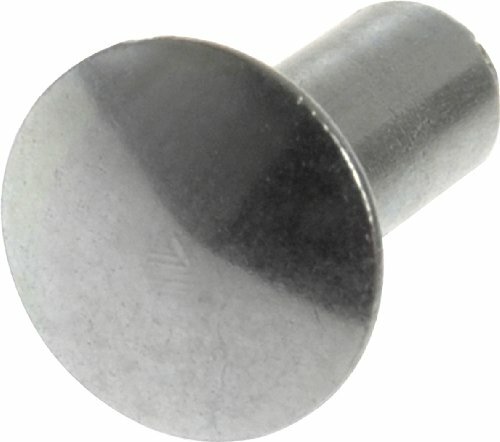 These rivets are a low-profile professional fastener and are less visible than screws. Tubular Rivets are excellent fasteners to quickly and inexpensively join work-piece materials together. 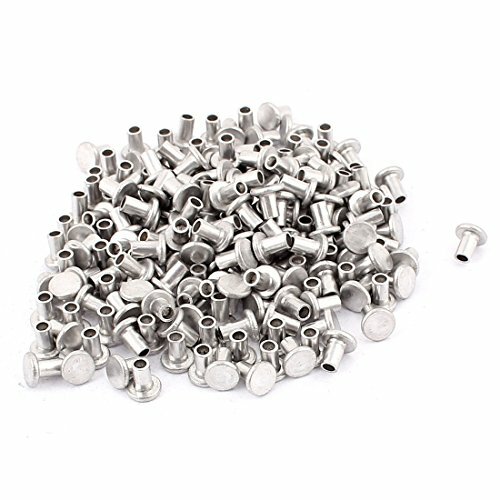 For 1/8 diameter Tubular Rivets. Instructions: Simply drill a hole slightly larger than the outside diameter of your via of choice and insert the via. Via can easily be ground down if required to the desired length and center punched on the shaft side of the circuit board to spread that side of the shaft. After this it can be soldered into place or whatever you might wish to do. Alternately, you may choose to even grind off the head and you will be left with an extremely discrete shaft only. Tip: If you wish to grind these down you can either use sandpaper or a rotary tool. The standard Semi Tubular Rivet is made of 3 major components with 6 dimensional valuse,all of which are required in order to produce the rivet. Semi Tular rivets can be used to join two or more pre-drilled or pre-punched components.It is most economically set with an autofeed riveting machine. Use a roll or scored clinch. A roll clinch is stronger. For a uniform appearance, a cap may be used on the clinched end. For 3/16 diameter Tubular Rivets. For Tubular Rivets .087 in diameter. 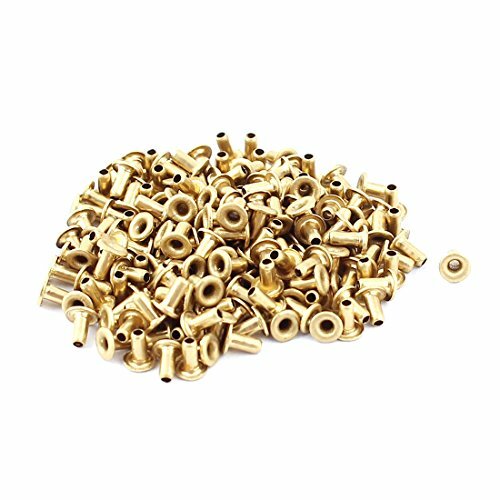 Genuine PRYM Tubular rivets; for material thickness 3 - 4 mm; Size 7.5mm; with tool; brass; rustproof; silver-coloured; 20 pieces in plastic box with card; best german quality. Original packaging only served by TOKO-Kurzwaren Wholesale in Heidelberg/Germany! 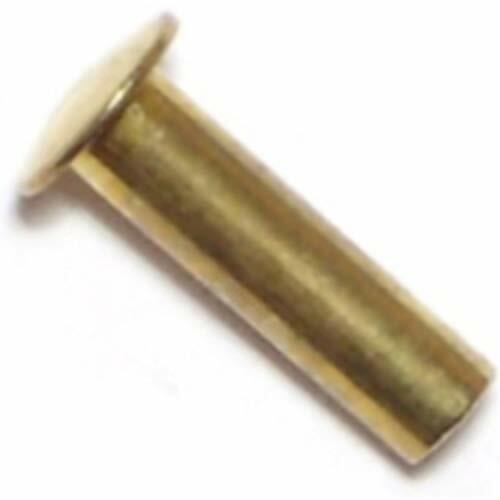 HT-176 HAND RIVET CLINCHER FOR 1/4" DIAMETER TUBULAR RIVETS, DESIGNED TO BE USED IN CONJUCTION WITH A HAMMER TO CLINCH/ROLL TUBULAR RIVETS OR THEY CAN BE ADAPTED TO USE ON ARBOR OR DRILL PRESSES. 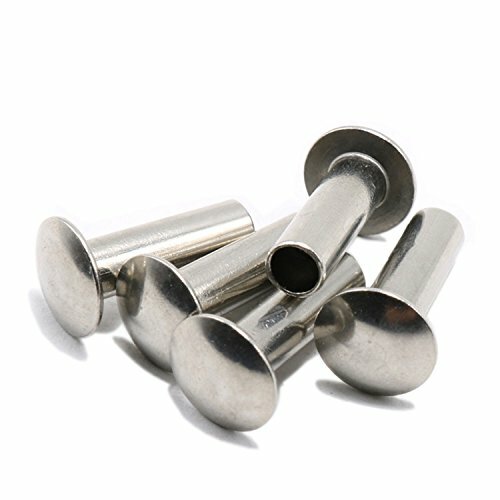 For 1/4 diameter Tubular Rivets.